Video production company Deadline Digital has produced an animation film to showcase a new Barnsley Council initiative. Town Spirit is all about encouraging local communities across Barnsley to work together in order to make the town a better place. It involves eight key themes, which each highlight different ways in which the people of Barnsley can support the area they live. Deadline Digital were tasked with producing a video which covered all eight themes and captured the viewer’s imagination as to what Town Spirit is looking to achieve. They did this through engaging animation, which takes the viewer on a virtual journey through well-known areas of Barnsley. 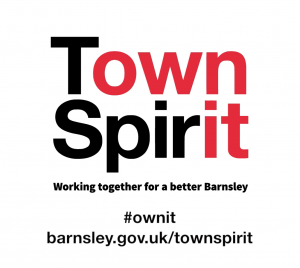 Town Spirit was officially launched last week and will involve Barnsley Council working more closely with businesses, residents and communities to achieve a better Barnsley for everyone. You can read more about Town Spirit here. Written by Ben Housam on Tuesday the 13th of November 2018.